Who doesn’t like sitting under a beautiful pergola and staring out at the waves!!! To be able to enjoy a romantic evening under a Pergola with lighting for just the right ambiance or to be able to take the time to relax in your Second Life backyard, whether you’re catching up with love ones or friends is so such a de-stressor from many things that plague us in our real. If you want to catch a few rays by the pool or enjoy an evening under the stars, all can be had under the Audace Double Pergola! The Audace Pergola is big enough to place a small bar and other accessories, that give you pleasure, in your second life. What ever your wishes, you should always be surrounded by things and people who make you happy! God knows we have enough in real to make us otherwise! 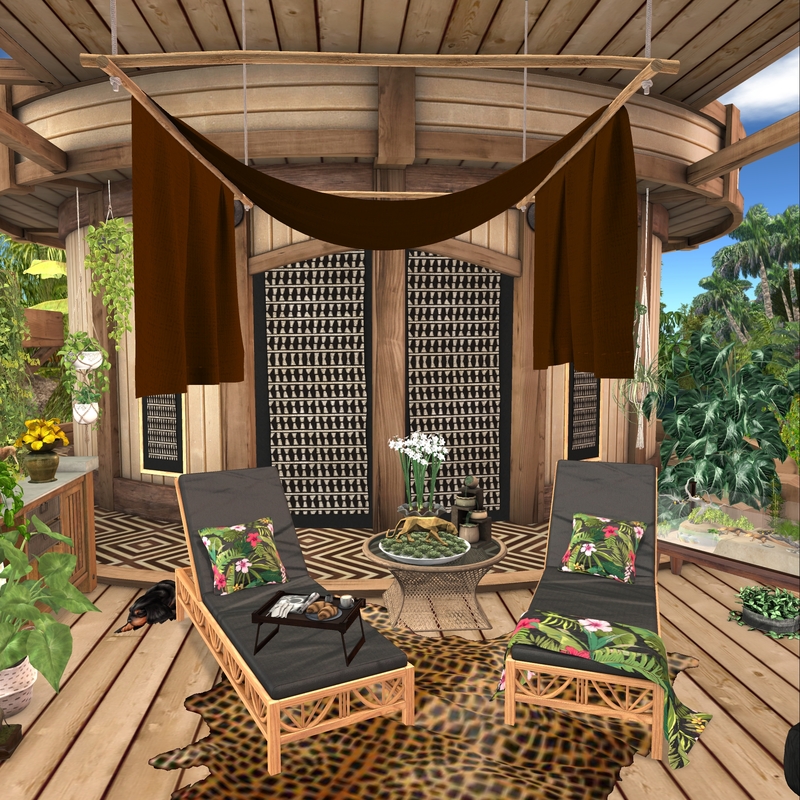 If you are interested in obtaining or wish to see the Audace Double Pergola, please contact Conte Alchemi, inworld. 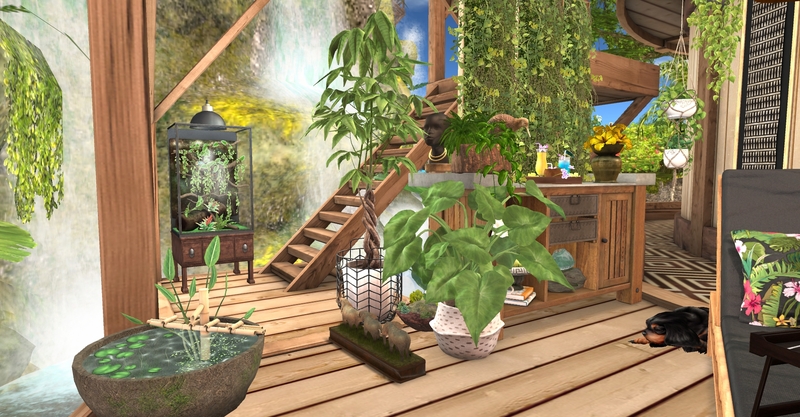 The pergola has raised pilings that allow it to be placed in water or buried beneath the ground in your home sim. The curtains raise and lower and adds a nice touch of “privacy” and much to the style of your décor. This elegant wooden pergola uses all of the elements typically found in the classic style.